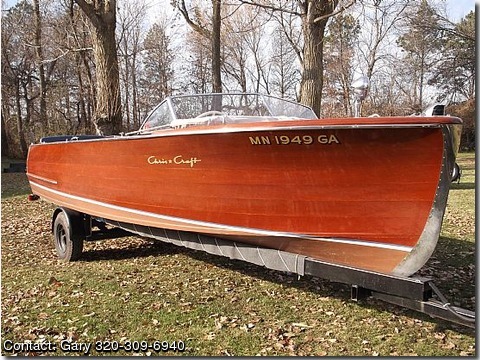 Please contact the owner directly @ 320-309-6940 or gwinter43(at)gmail(dot)com.Boat in is good condition. Use yearly as my regular boat until the 2013 season. Reason for change is granddaughter and pontoon. Maintained by a professional boat restorer and storedwinterized there. Also come with a second brass prop.